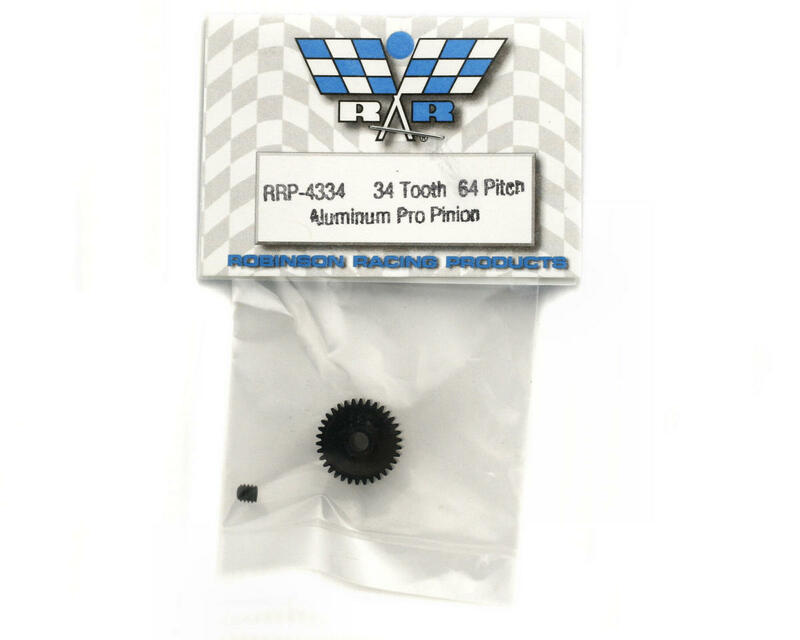 Robinson Racing 64 Pitch "Aluminum Pro" Pinion Gears are machined from aircraft aluminum, lightened and then they're coated twice with a super hard anodized finsih. Recommended for onroad, these gears are available in a variety of tooth count options to fine tune torque and top speed. 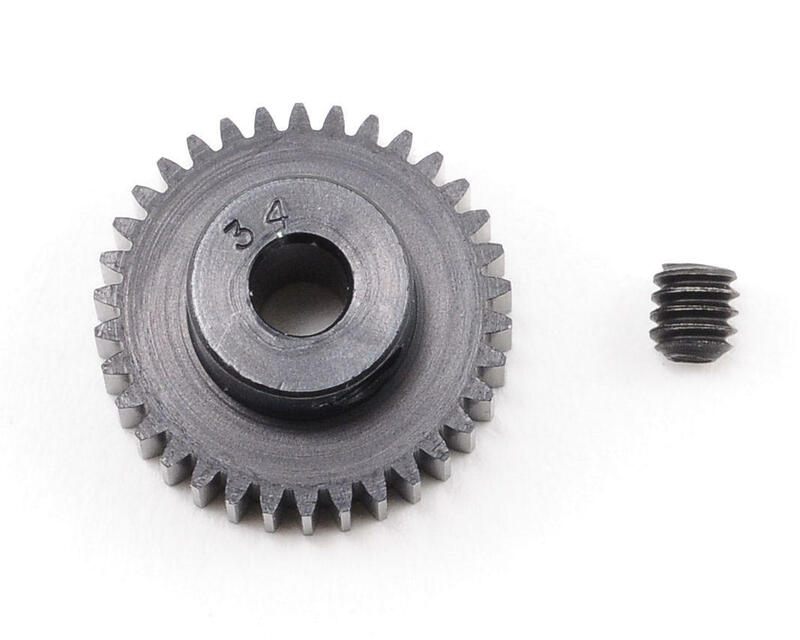 Package includes one pinion gear and one 5-40 set screw.